The explosive growth of consumer-level 3D printing has allowed many students and hobbyists to explore robotics by designing and printing their own parts or by utilizing open source projects. 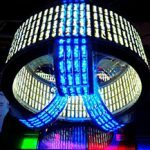 The resulting robots have been some of the most innovative and unique projects ever created. In the animal kingdom, a hexapod is the name of a six-legged arthropod or a true insect. 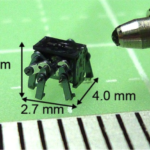 In the field of robotics, it is a term used for a six-legged robot. The shared name is fitting because many designers of hexapods draw elements of their inspiration from a variety of insects and the specific mechanisms that enable their movement. 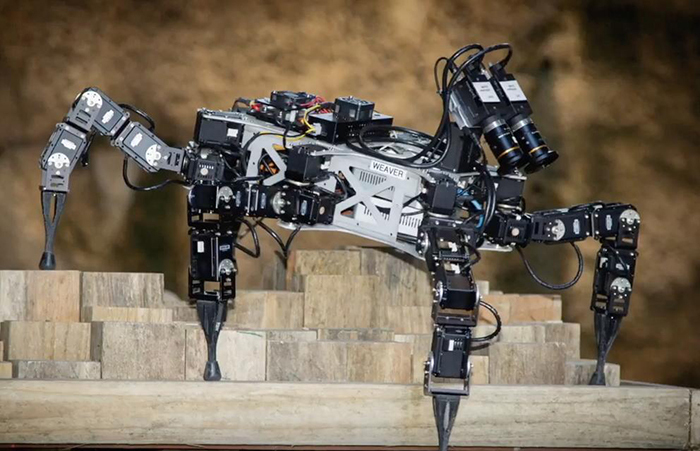 Here are a few of the most creative hexapod robots that we’ve come across. 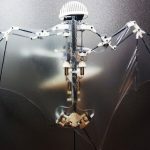 A group of students Ghent University in Belgium have created a 3D printed robot that looks like something from a nightmare or a futuristic sci-fi movie. 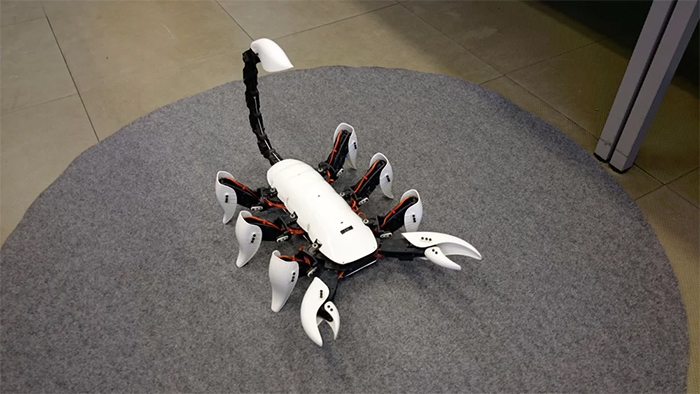 This impressive hexapod looks and moves like a scorpion. It even has the ability to whip its tail forward and “sting” those brave enough to come within striking distance, leaving victims an ink reminder of their encounter with its marker-equipped stinger. The students’ project aimed to improve upon the Stigmergic ant that was built in 2012 as a mascot for the Industrial Design Center at Ghent University. In addition to redesigning the functionality of the ant hexapod, they wanted to increase the battery life and build it in a more modular manner. 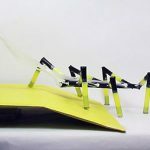 The extended battery life was accomplished by lowering the weight of the robot body using lightweight thermoformed polystyrene, and implementing a “stand-by mode” to preserve energy. 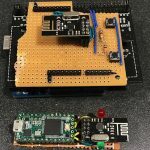 The robot’s control center is an Arduino Nano. 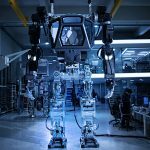 The modular, 3D printed design allows the robot to be easily modified and reproduced.